Shrek the Musical is one of those shows that people seem to either love or hate. The story started as a book by William Steig in 1990, became a DreamWorks Animation film in 2001, and finally in December 2008 opened on Broadway as the aforementioned musical. A video of the Broadway production was later released in 2013 on DVD, Blu-ray, and as a digital download. It’s also one of those shows that keeps popping up around the country and around the world in various productions at all levels. Because it features a large cast and is very family friendly, it is a frequent favorite among youth theaters. It also continues to attract adult community theaters and even regional professional companies. Given its ubiquity, one would expect this show to be a perennial crowd favorite, and yet, within the theater community, it evokes strong reactions, both positive and negative. The show itself has some very clever lines, and the plot turns the traditional fairytale princess – handsome prince romance upside down. Various aspects of the story are extremely timely, especially given the social climate of late, and the messaging is positive and hopeful, albeit quirky. 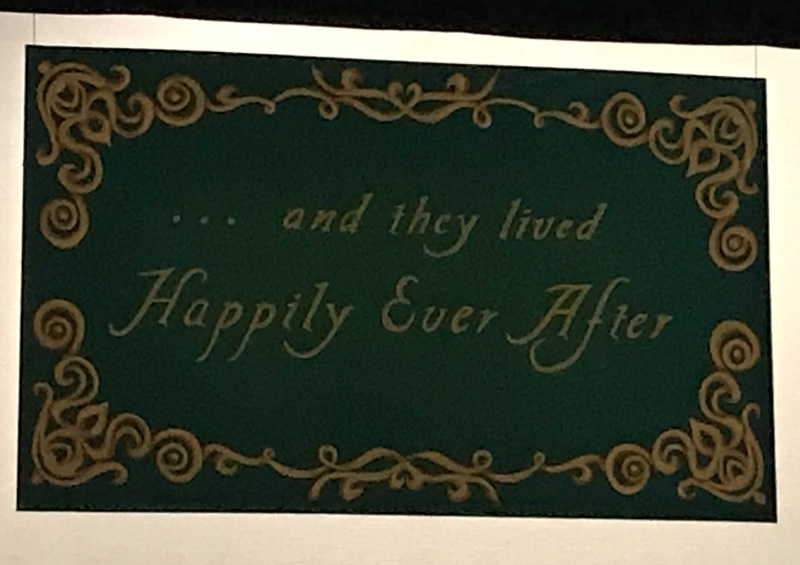 The biggest takeaway is that it is OK to be yourself, and you should do so fervently as the fairytale creatures make clear in the Act 2 anthem, “Let Your Freak Flag Fly.” The upside down love story between Shrek and Princess Fiona also brings that point home. The other big takeaway is the importance of friendship, exemplified by Shrek and Donkey, an unlikely duo thrown together over the course of a harrowing quest. They have their ups and downs, but due to Donkey’s persistence, Shrek ultimately accepts him, and the two become very devoted friends. Along the way, there are a number of topical developments such as why ultra-conformity can be harmful (“What’s Up Duloc”), building walls doesn’t generally solve problems (“Build a Wall”), and finally the concept that “Beautiful Ain’t Always Pretty” when Shrek professes his true feelings for Princess Fiona. The Shrek score is quite varied, and its groove is a little hard to restrain at times. The music is heavy on rock and soul, includes some jazz, and injects some strategic classical callouts in the mix. There are heartfelt ballads, and there is also a nice spaghetti western sequence complete with mournful guitar and an ocarina sound provided by one of the keyboards. From a musician’s perspective, it’s an interesting show to play, and some of the parts are fairly challenging. 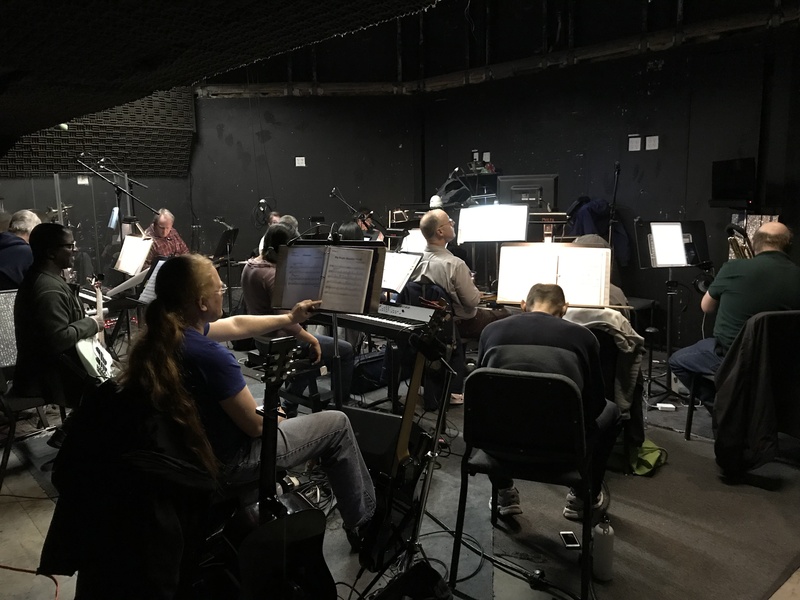 I had played a previous run of the show with another local company in 2017, but this time I had the pleasure of being the orchestra director for Peninsula Youth Theater’s (PYT) March 2019 run of Shrek the Musical. PYT double casts their shows, and these energetic actors spent about two months rehearsing before the show opened. The orchestra only got two rehearsals before the critical sitzprobe, more colloquially known as “cast meets orchestra.” The sitzprobe was the first time the cast got to sing, and in PYT’s case, dance with the live orchestra as opposed to working with either computerized musical tracks or a rehearsal pianist. It’s an exciting time when both cast and orchestra give it their all to make a good impression. Generally a sitzprobe is a rather boisterous rehearsal, and this one was no exception. In PYT’s case, it also tends to be very crowded, especially for a show with a largish orchestra taking up a good chunk of the studio space. After the sitzprobe was complete, the company then moved to the theater. This particular company runs a fairly tight tech, only bringing in the orchestra for one final dress rehearsal with each cast. That means that for the musicians, most of the hard work is done individually before ever reaching the ensemble stage. Physically, the pit starts out as an empty room. 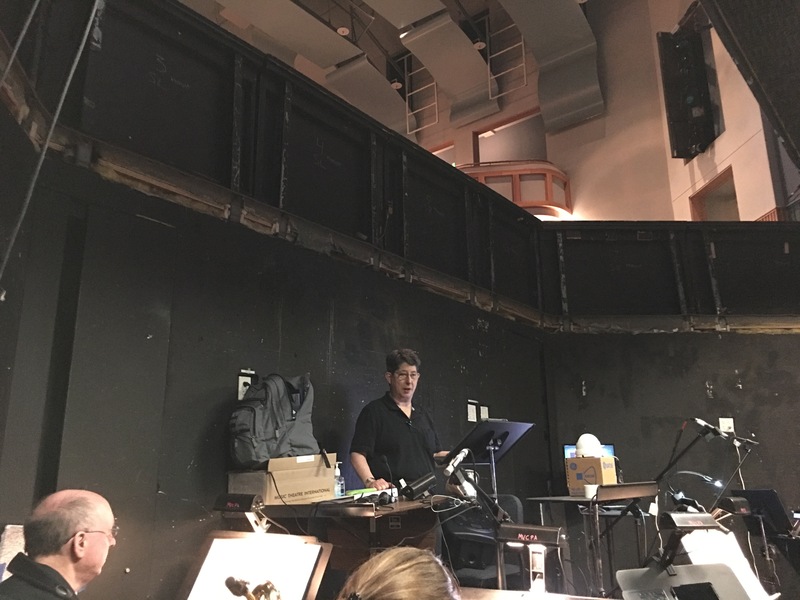 For this production, all of the players were on a single level under the stage, and my director’s platform was less than two feet above the rest of the orchestra. These views show what it looked like after the director’s platform was built, the players’ chairs and stands were in place, and the drums and percussion equipment had been setup. A few more tweaks were made once the musicians arrived en masse the next day. There was also an unexpected hiccup that occurred early during tech week. Normally, the keyboard players spend a good deal of time programming their keyboards for the show, often setting up their patches (i.e., the different sounds they need to incorporate) in sequence so they can click through patch changes smoothly and quickly in performance order. Their books tell them which sounds are required, but it can take a fair amount of work to generate each of these sounds, particularly if some of them are not native to their keyboard patch libraries. In the show, there is a musical number early in Act 2 (“I Think I Got You Beat”) where Shrek and Fiona get into an odd one-upmanship contest where a bevy of bodily sounds are required (think frat-boy antics). The staff had planned to trigger all of these sounds from the sound board, at least until the show got to tech. 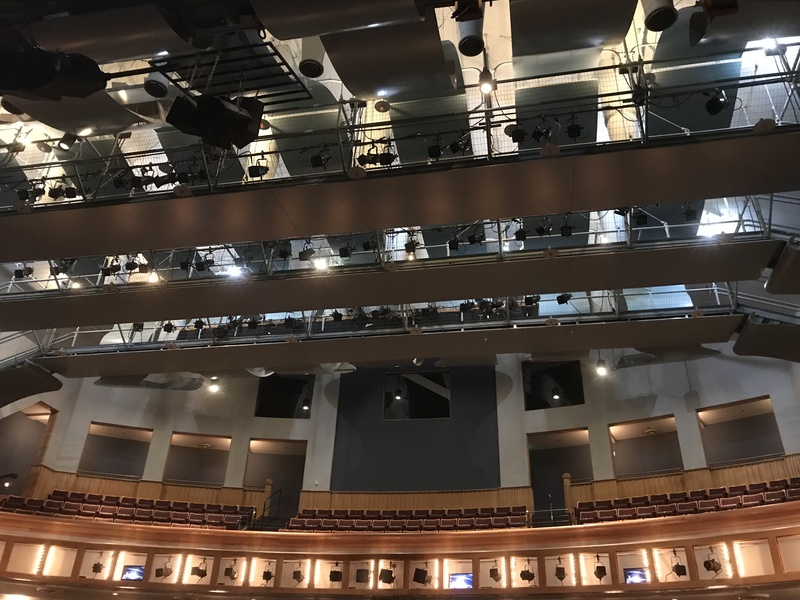 During the early tech rehearsals before the orchestra was brought in, it was discovered that they would be unable to incorporate the sounds with the timing required as they needed to be timed directly with the music. The only way that could have worked from the booth would have been to run a click track to perform it exactly the same way every time, but that wouldn’t allow for any variation based on what was happening on stage. The other way was to throw the sounds back to the orchestra, but given the lack of lead time, it was problematic to incorporate them into the keyboards’ programming. Although not tried until the orchestra members were in place, the solution that created the least havoc all around was for the sound designer to provide a laptop to one of the keyboard players to trigger the sounds in time as part of her part. This solution, after a couple of trial runs and slight adjustments to the sounds themselves to shorten lead and lag times, worked beautifully. The actors were used to timing their movements with the music, and this application of the sounds to the music by one of the musicians was made as flexible as any other aspect of the music. Two nights before opening was the first night all of the musicians were in the pit. Because this pit was so far below stage level, our only connection to the stage was via video and audio monitors. Likewise, the casts had to view me via video monitors along the balcony of the theater rather than looking down at the pit. This was only the second show we’ve done using this configuration, but it allowed for a much tighter orchestral sound, and this time, the orchestra even got a video monitor to see the stage in addition to the director’s stage video monitor. The stage lights tended to completely saturate the lens, but still, there was enough definition to get some idea of what was happening on stage, though facial expressions and costume detail were washed out. PYT’s standard setup was not previously a single level. Instead they had traditionally used a three-level configuration with the director on top of a tall platform from which they could see the stage live without a video assist. The players were normally split between the two lower levels, but that meant that the sight lines for them to see their director were often obstructed, and video equipment had to be used to assist some of the players. Each tech rehearsal had its own special issues as the casts and crews adjusted to the performance space. The orchestra too had to adjust to new timing, and because there were two separate casts, the musicians also had to be aware of some subtle, and some not-so-subtle timing differences along the way. Granted, sorting out the musical timing fell on my shoulders, and the orchestra had to follow me wherever I took them. In musical theater, unlike in straight concert playing, the ink (i.e., the written music) ends up being a suggestion with respect to timing rather than an absolute. 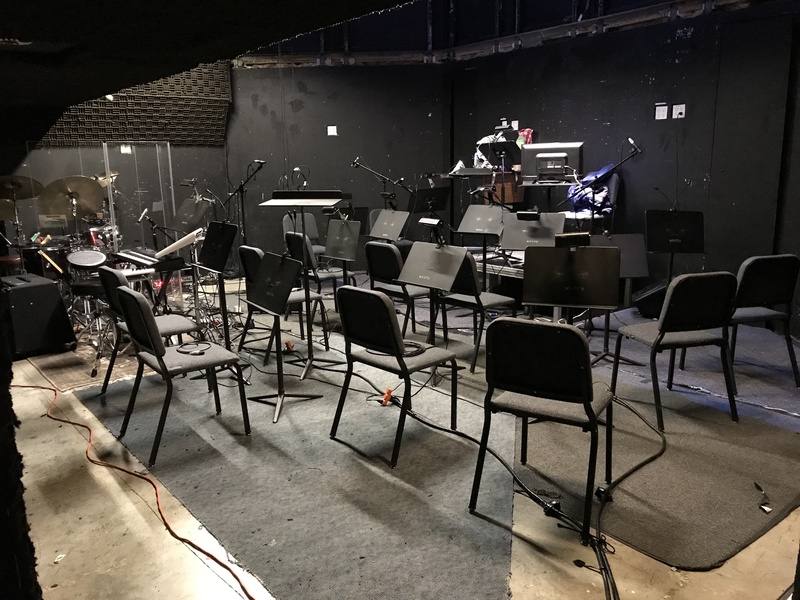 In the end, the orchestra’s main job was to support what was happening on stage, no matter what quirks may happen during a given performance. 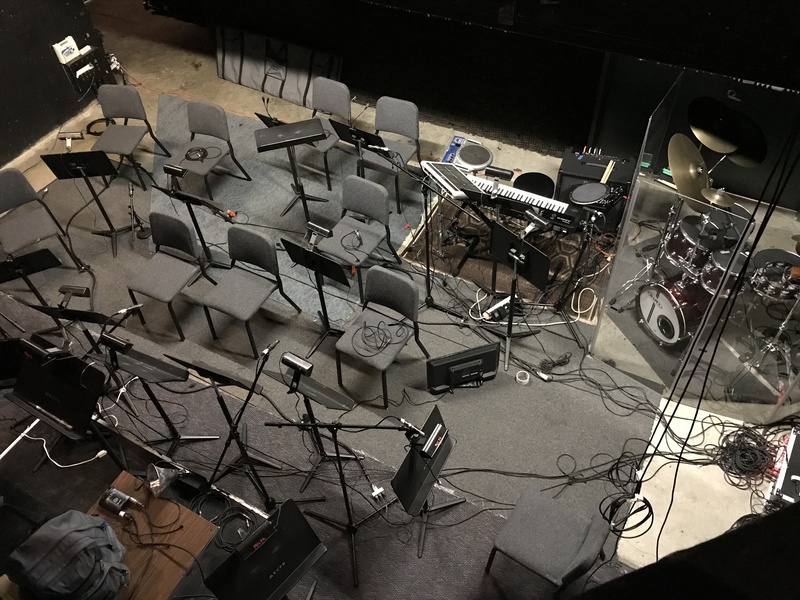 My 2012 commentary entitled “The role of the pit musician in musical theatre” discusses many conflicting aspects of playing in the pit in general, several of which came into play during this production at one time or another. Finally, the production opened, and audiences loved the show. The orchestra members fielded questions from curious audience members before the show and during intermission as numerous onlookers peered down at them from the house. There was great comradery amongst the orchestra members, and all had great admiration for the young actors on stage. All in all, this was a very rewarding experience for all concerned.